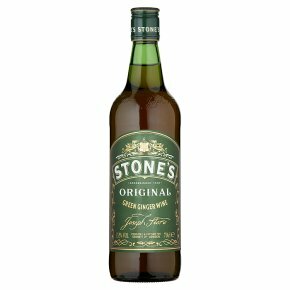 Stone's Original Ginger Wine as first produced in 1740 at the Finsbury Distillery in London, and still uses the traditional ingredients; finest raisins and pure ground ginger. Stone's is very versatile. As well as the famed 'Whisky Mac', Stone's Original can be enjoyed all year round in a variety of cocktails and delicious food recipes. How do you like yours? Lemonade Cup Try 2 shots of Stone's in a tall glass topped with chilled lemonade and lots of ice. For a seasonal twist add a few slices of cucumber and any ripe fruit.